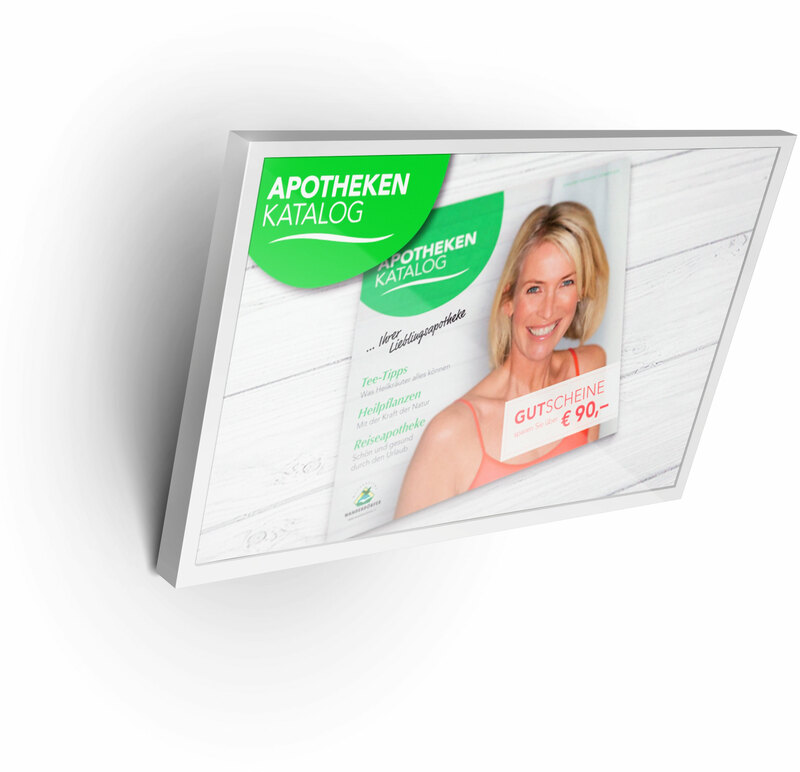 A successfull partnership for already more than 15 years with numerous projects at the latest technological level. 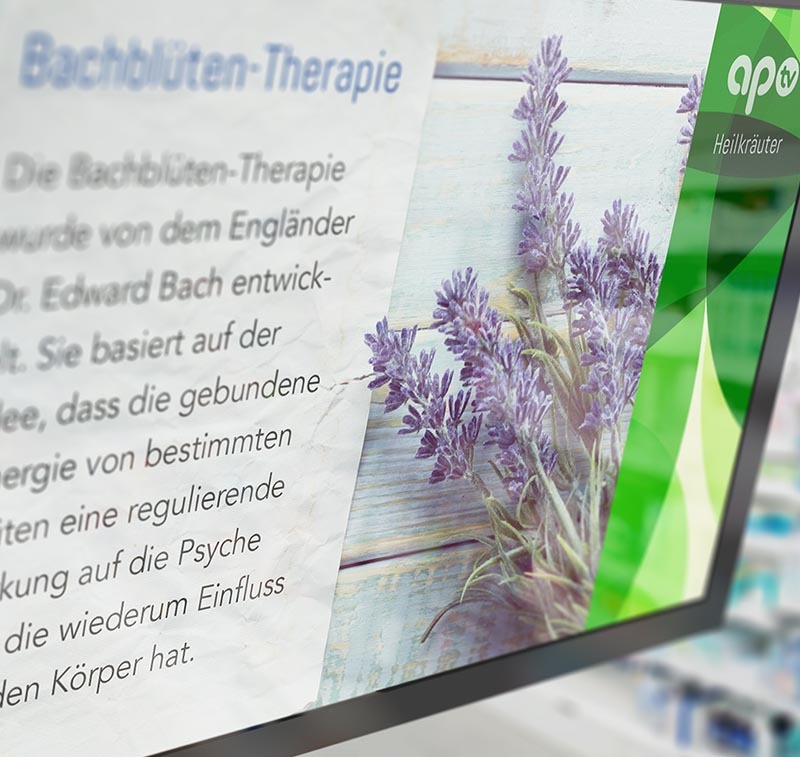 42-inch screens in about 200 pharmacies, all manageable with customized content by time and region. Over the years we have been producing hundreds of spots to be aired nationwide. 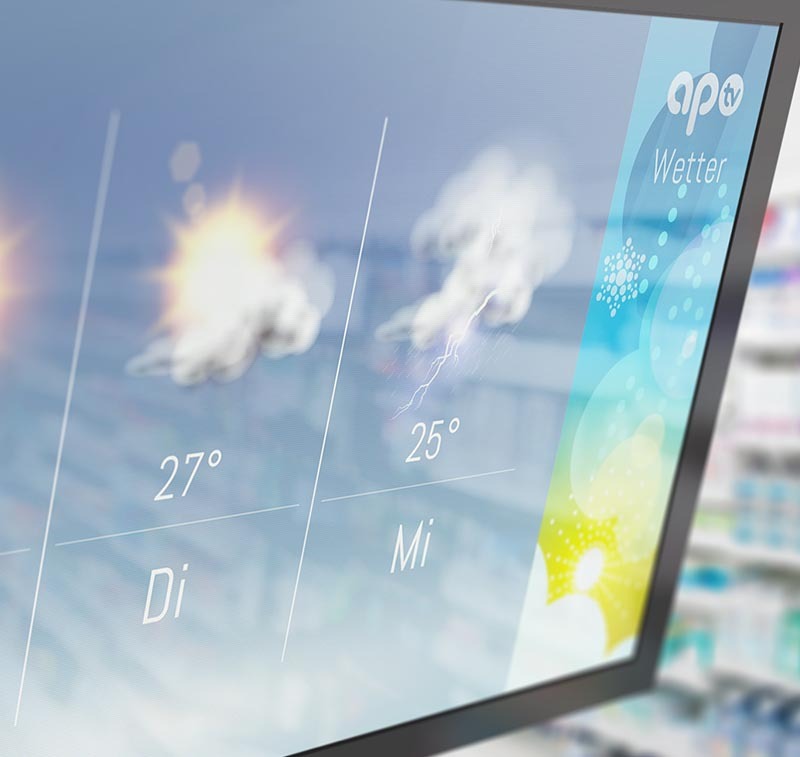 We revamp the design every few years to guarantee a cutting-edge solution. We cover the full spectrum from emotional and image-spots over seasonal contents to special product advertising for booking partners. 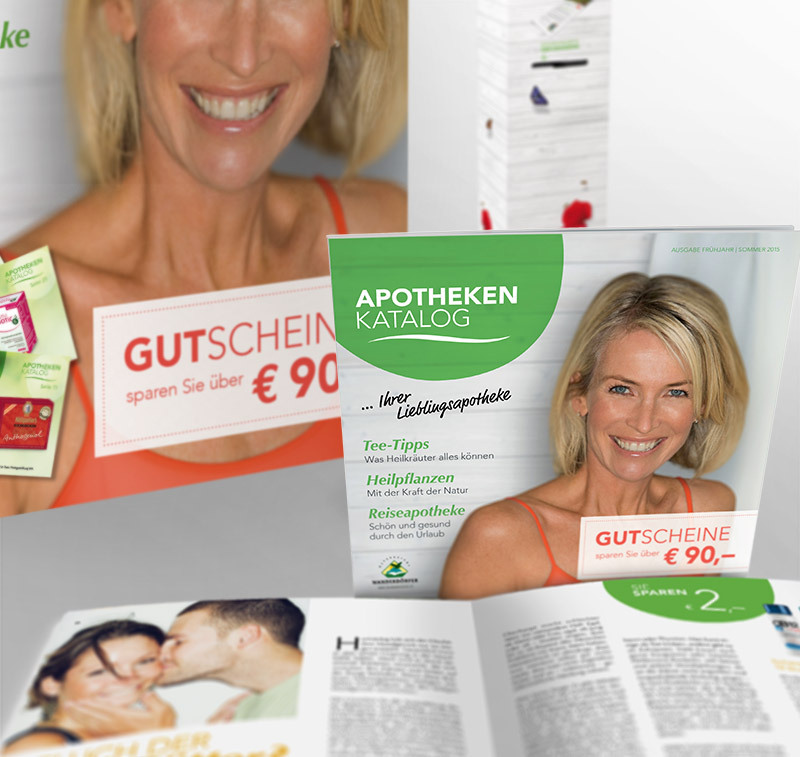 Printed material like posters, displays, vouchers and catalogues build the bridge between off- and online communication. 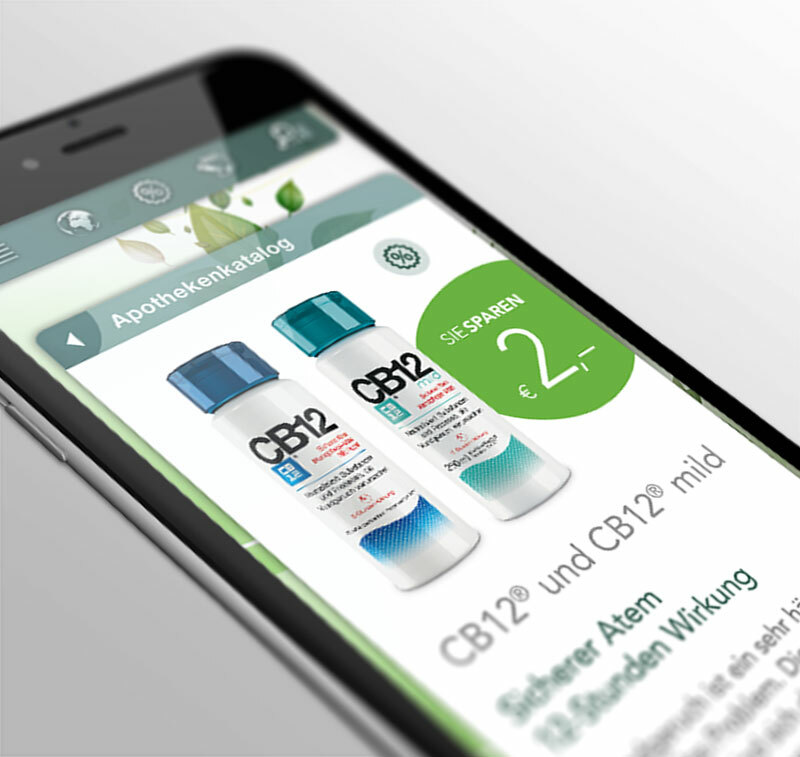 The mobile link between the individual pharmacies and their clients, offering comprehensive information on products, tailored news and services and an effective coupon-program. 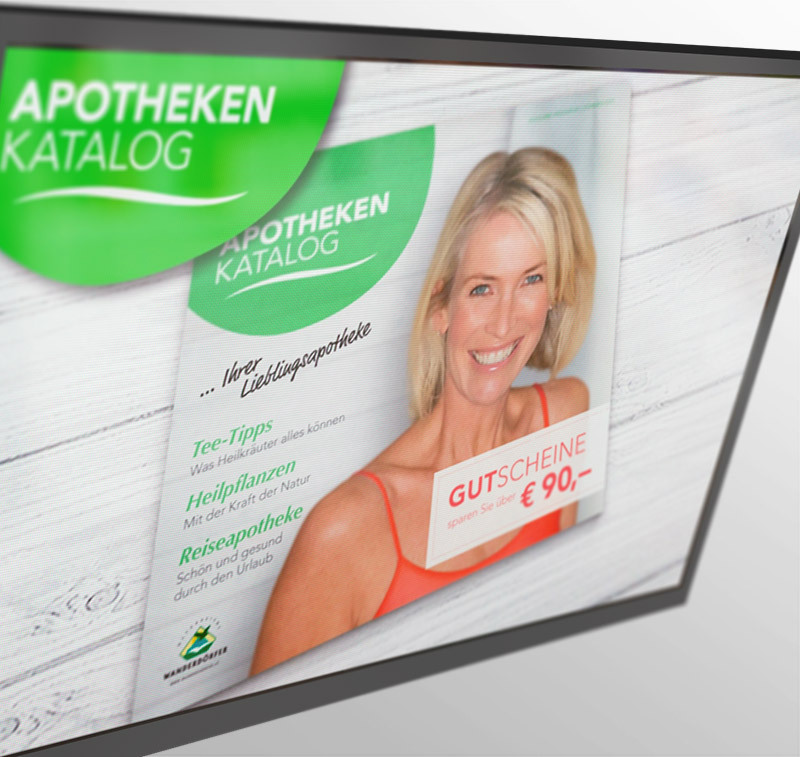 Innovative digital signage solution for individual messages at the point-of-sale, including booking platform, online-monitoring and reporting. 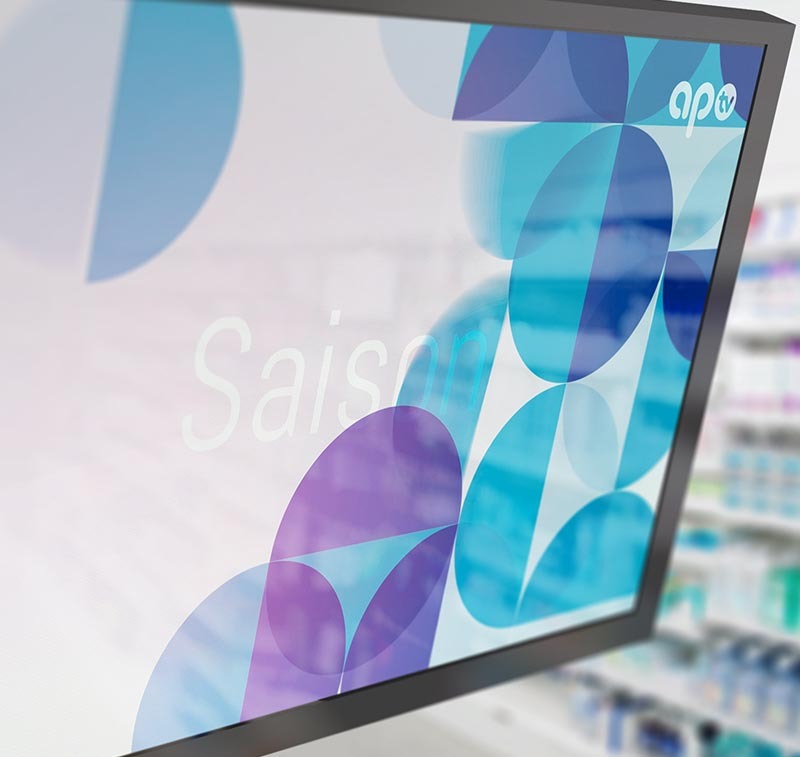 The program can be fully customized on an individual location level, assuring that each pharmacy is provided with its tailored program (promotions, brands, news, etc.). 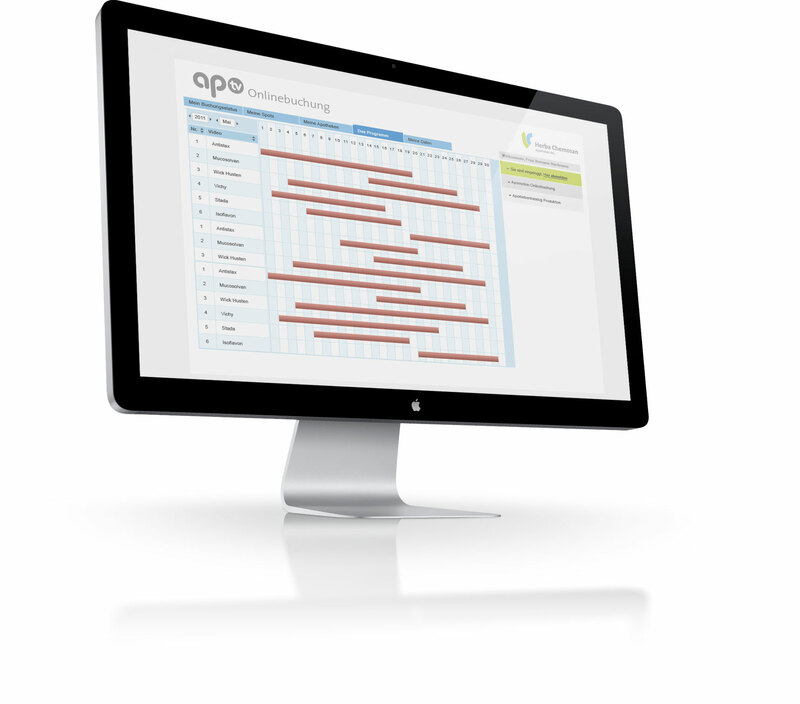 An easy-to-use booking platform gives access to manage and monitor their own apoTV.